Is Cameron Dallas trying to rekindle his rumored romance with Hailey Baldwin? The YouTube star left a flirty message on her Instagram, telling Hailey she looked hot! 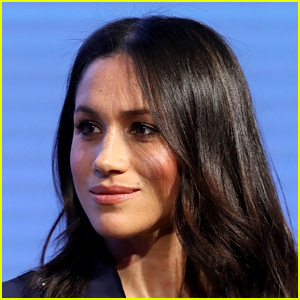 Meghan Markle made an appearance at the first annual Royal Foundation Forum held at Aviva on Wednesday (February 28) in London, England. During her appearance alongside Kate Middleton, Prince Harry and Prince William, Meghan was asked about women’s rights and the Me Too movement. Disney Drops First Wreck-It Ralph 2 Teaser Trailer — & It Looks SO GOOD! Mark your calendars!! Thanks to Disney‘s recently released Wreck-It Ralph 2 trailer, we know that the animated sequel is hitting theaters this Thanksgiving. Be sure to ch-ch-check out the teaser — starring John C. Reilly and Sarah Silverman — for yourself (above)! Shaq Celebrates Shareef's UCLA Decision With Family Dance Video! Tom Brady Says He's Never Had Coffee and Everyone's Freaking Out: Read the Reactions! Taylor Swift Continues To Show Her Generosity As She Donates $100,000 To Cancer Research — Details HERE! Fall Is Coming — With A Bunch Of Brand New TV! Here Are The 10 Shows We're Looking Forward To The Most!